The site of the old Turnbull Bakery in the Irish Channel neighborhood is set to undergo a major transformation in the coming years as city officials and neighborhood leaders have begun signing off on plans for the demolition of the old warehouses and construction of 17 single-family homes. 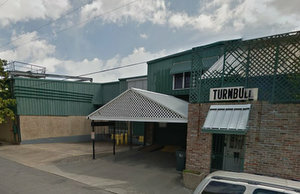 The property bounded by St. Thomas, First and Soraparu sites was home of the old Turnbull Bakery, once the only U.S. producer of the original Melba Toast, until it closed in 2012 after 105 years in business. The vacant building has been on the market for almost a year now, said Nicole Webre, lead developer on the project. Webre, who has past experience with zoning processes in the city, is working to secure the site for the new development of 17 houses. “Right now we are proposing to downsize [the warehouse building] to residential single family homes to match the rest of the neighborhood,” Webre said. Webre has been presenting the project to the Irish Channel Neighborhood Association, and said she has received favorable reactions so far. “It helps to have their support and feedback, and they were very supportive of the project,” Webre said. 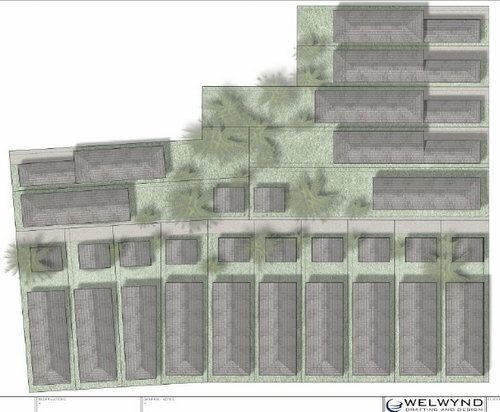 Webre’s plans are to separate the site into 17 individual lots for individually-owned single family homes, which Pentek Homes will design and build. “Nicole’s experience with land planning and my experience with custom home building are a great fit creatively,” said Bo Pennington, owner of Pentek Homes. The idea behind the project is to build luxury historic homes, matching the historic values of the neighborhood, Pennington said. The project is a dream of Webre and Pennington’s, to convert the old warehouse building back to something more fitting to reflect the rest of the Irish Channel. “This project was sort of a hidden opportunity for development because it was an old warehouse,” Webre said. The plans show most of the lots fronting on St. Thomas Street, with five on First Street and two on Soraparu. They are mostly 30-foot by 120-foot lots, shotgun-style homes, with the exception of a few larger lots, and they will all have off-street parking, Pennington said. The plan is to start by building a few model homes to show prospective buyers the possibilities of the site, then Pentek Home’s will work with the potential home owners to either take the same plan and customize it or design their own plan, Pennington said. “We hope that the majority of the lots will be sold to individual buyers and they can work with Bo to customize their own home how they like, but a few of the lots we would build homes on and sell them prebuilt,” Webre said. The vision of the project is to infuse the old with the new, creating homes that match the style of the neighborhood while still being up to date. “We are thinking of a Greek-revival style, with wood-clad floor-to-ceiling windows in front, tablatures on the top, New Orleans gas lanterns, letting the 1800’s shine through,” Pennington said. The Historic District Landmarks Commission passed an unanimous motion March 19 in favor of the demolition of the Turnbull Bakeries buildings in the Irish Channel at 2353 St. Thomas Street, 515-523 First Street and 534-546 Soraparu Street. Some older industrial buildings do have architectural value, noted HDLC board member Greg Hackenburg, but additions over the years had largely masked any such value at this site. “The neighborhood would likely welcome conversion of the property to homes,” Hackenburg said. 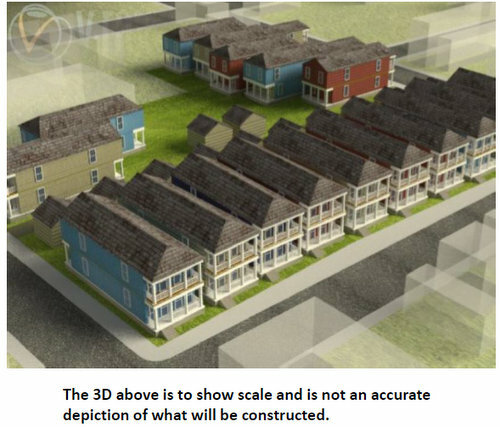 The next step in the process is for Webre to get a resubdivision approval from the city. Once that has been obtained the hope is to start breaking ground for the project as soon as six months from now. “Once the approvals are in place and the building is demolished we can start building our first house,” Pennington said. Kristen Himmelberg, a graduate of Loyola University, is a freelancer writer based in New Orleans.